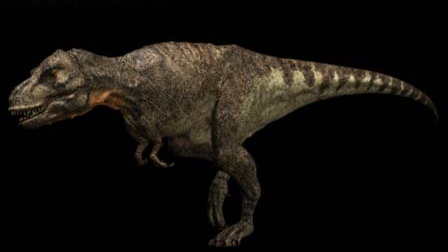 It took some years for the paleontologists to agree to the fact that dinosaurs had feathers. Dinosaurs were like big flaking lizards, with millions of history. According to a report published in a journal, Current Biology, a tail of a 99 million years old dinosaur including the bones, soft tissues and feathers were found preserved in amber. This amber was discovered at a market in Myanmar which confirmed to have a baby dinosaur tail covered with dense feathers. Amber is a fossilized tree sap; this is used to preserve biological materials and you can even preserve entire small animals that became trapped in it in the far past. You might be most familiar with amber from it's role in Jurassic Park, that’s where they get the blood-filled mosquitoes with dinosaur DNA. This particular piece of amber was exposed by Lida Xing, a paleontologist at the China University of Geosciences in Beijing. However, Lida Xing didn’t have to godigging in the ground for it, though; he just got it from a merchant. This happened when Lida Xing was on a trip to Myanmar in the year 2015, a salesman brought out the amber to show Xing; and he can see several ancient ants trapped in it, as well as some unidentified scattered pieces. While the merchant claimed the large, delicate tube was a plant,Xing knew that wasn’t right. 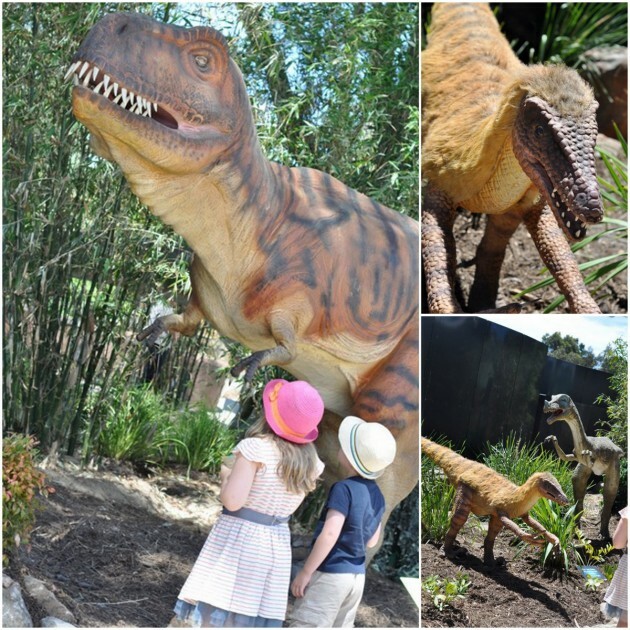 After closer assessment of the amber, a report has been published in the journal, Current Biology, confirming that the amber contains a complete tail of a baby dinosaur with feathers. 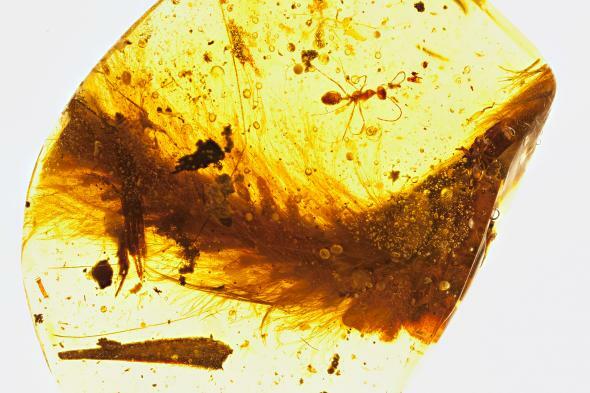 The paleontologists and researchers now believe that the tail which was preserved in the amber belonged to a young Coelurosauria, which would have been about the size of a sparrow, when it was stuck in the amber sap 99 million years ago. Had it survived, it would have grown to almost the size of an ostrich. Studying the feathers on this section of the tail will provide a unique prospect to learn about the evolutionary history of feathers and journey. The modern bird feathers have an inflexible central shaft with branching fibers which extend along the length. The branches get lesser and smaller as they go out, acting like little hooks that give the feather a constant surface that aids in flight. These “hooks” are known as barbules. However, it was not formerly clear if these barbules or strong central shaft came first evolutionarily. While the young Coelurosauria seems to specify it was the barbules first, which means the first feathers would have been light and fluffy with little structure. If you’ve ever seen a bird with shimmering feathers like a peacock, it’s the barbules spreading light that cause the color-shifting outcome. The feather found in the piece of amber seems to designate that the dinosaur feathers would have had barbules that is the reason they might have looked much more wonderful than we thought. The paleontologists are in search to find more incredible samples like this in the future.